I can't believe we are almost out of lessons and before we know it the year will be over! I'm going to start looking over and getting a feel for the new curriculum and figure out how I'm going to share those lesson helps. Let me know if you are interested in just primary or ideas to use in your home as well. 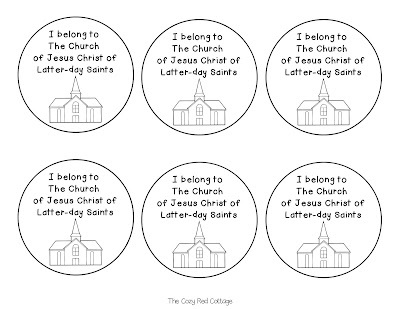 Alright here are some primary lesson helps for Lesson 42 The Church of Jesus Christ is on the earth (found here.) A big chunk of the lesson is the picture activity-I plan to follow that pretty closely so I did not include anything extra for that. 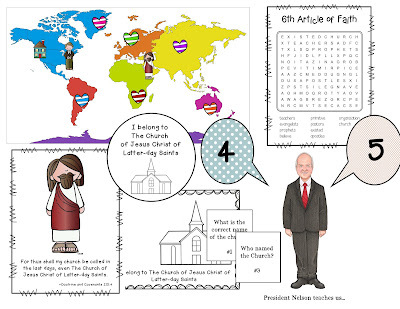 When I read over this lesson it reminded me of President Nelson's talk this past conference. I have included a way to use that talk as well. We will being using that idea for FHE this upcoming week. I link to that when its up as its posted. Attention Activity- Here's a map that is used during different parts of the lesson. Print the page and cut out the pieces at the bottom. When it talks about the Holy Lands tape the cut out of Jesus to the map. 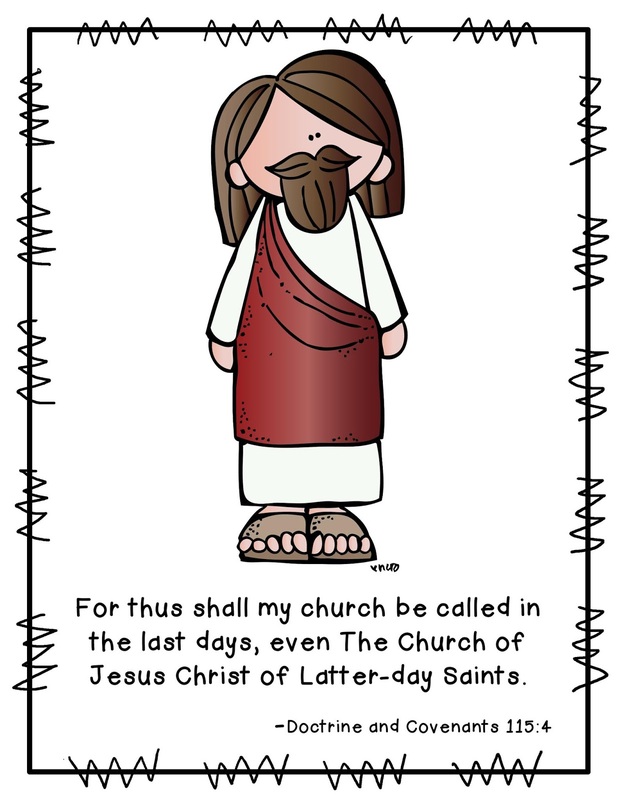 Same with Joseph Smith. I also included an image of a house that would be fun to put your location on the map. 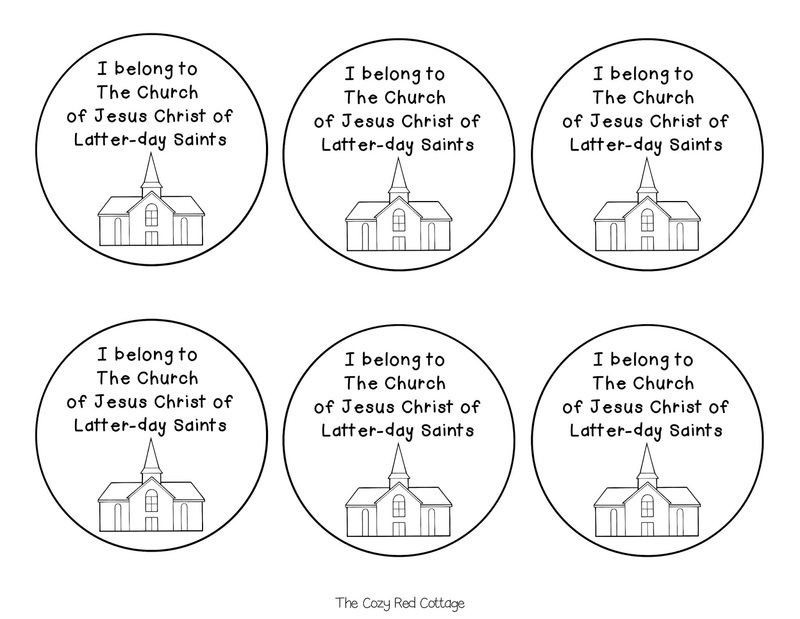 Then the hearts are to be used when you discuss where the church is located now. I placed mine randomly. If you want more precise locations tape your image off to the side a little and draw a line with a star on the exact location. You can also draw on the map as they are telling you different locations they know. Here's an example of what the finished map will look like. 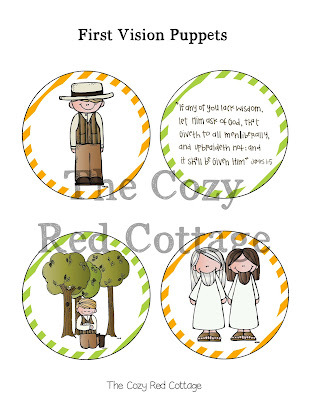 Scripture- a cute poster that can be displayed during the lesson. 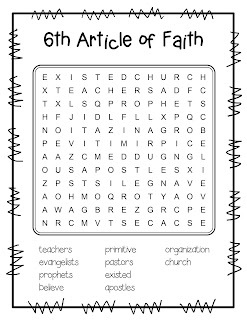 Enrichment Activity #1: After you practice the 6th article of faith they can work on this word search. Enrichment Activity #2: There are a couple of options. 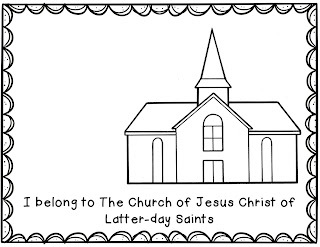 Coloring page with space to draw a picture of themselves. Necklace-Print and cut out. 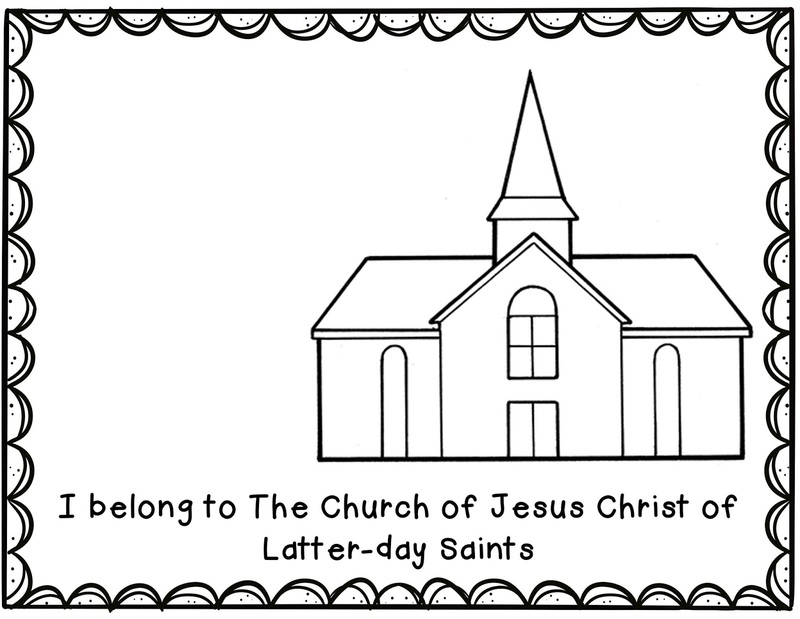 Let the kids color. Punch a hole in the top and use some string or yarn to make a necklace. For a little extra fun bring some fruit loops and let them add "beads" to their necklace. 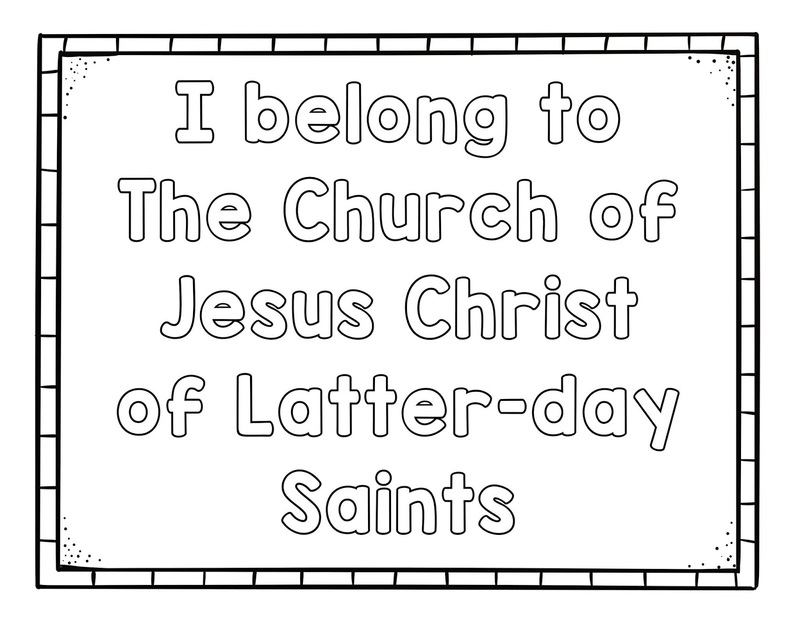 3rd Coloring Page option. I thought the older kids might enjoy decorating the letters and display their finished page in their room. As i mentioned in the beginning this lesson reminded me of President Nelson's General Conference talk. Then as I opened the friend this month I saw This great page. I took the wording from the friend and turned it into a game. 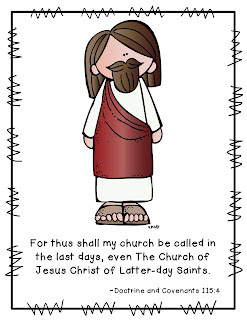 To start-if possible read or play some of President Nelson's talk. 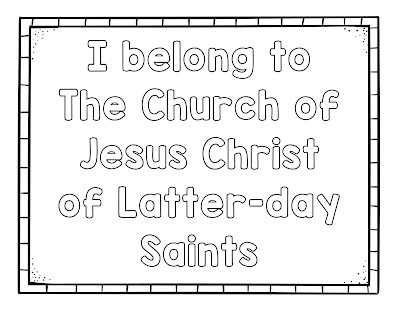 I love to use any chance I can to have the children hear the prophet speak. There are a few different spots that would work well. 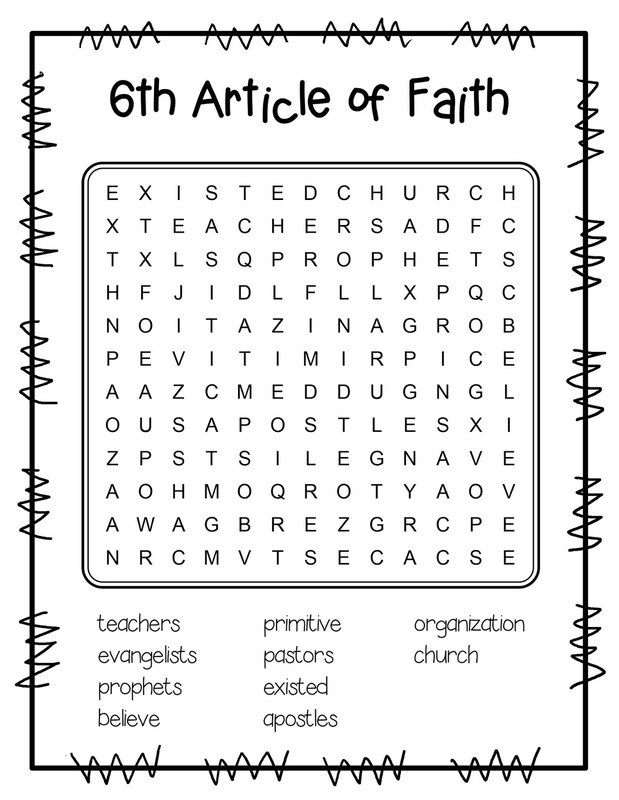 One suggestion would be after the first list where it says "Joseph Smith did not name the church..." Okay now on to the game. 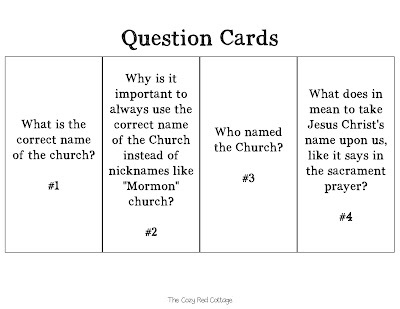 You will need to print the picture of the prophet, the question and answer cards, and the 5 quote bubbles. 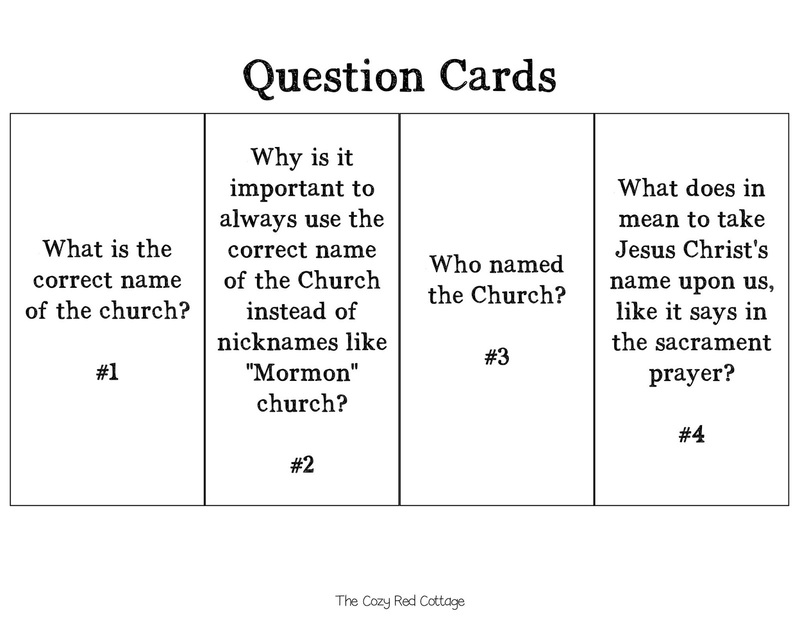 Cut the question cards apart. Mix them up and set them in a pile. Cut out the Answer cards and glue to the back of the corresponding quote bubble. Place the quote bubbles with number side facing outward on a wall or the floor. Now you are ready to play. Have two players stand next to each other (in front of the numbers or across the room...you pick). 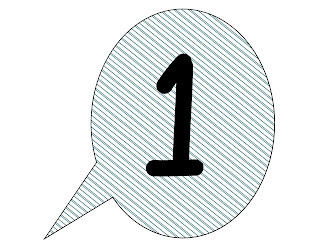 Draw a card and read the question, then the number below it. Have to two people race to find the correct number and slap it. The first person it hit it wins. 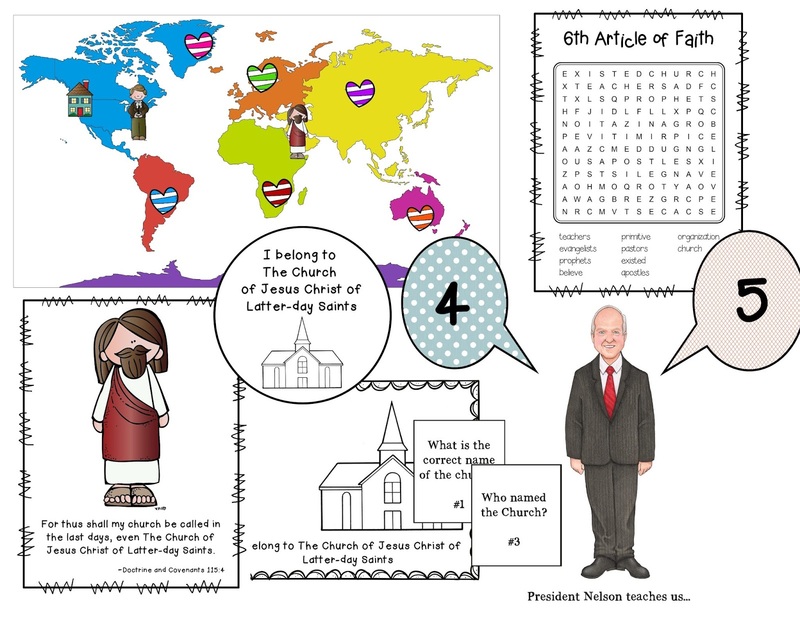 Read the answer on the back and place next to picture of President Nelson. 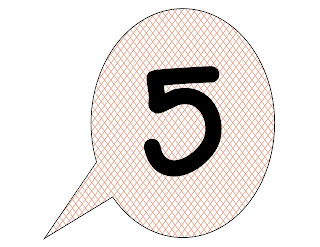 There is not a question card for number 5. It is a quote from the talk. You can have someone pick it up and read it or you can have them race to it as well. 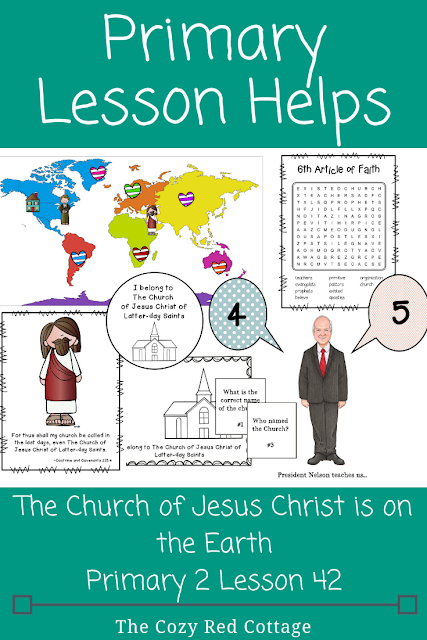 You can download the lesson helps here and here. If you would like to use some puppets for the First Vision you can find these ones here. I definitely am interested in help with the new Primary curriculum/lessons. Thank you SO much for all the help you provide. You are very welcome :) I'm excited to start working on next years lesson helps...I will start posting them in the next couple of weeks. Thanks for your great helps! I'm working on Lesson 42 and can't find a graphic of the unfinished map and pieces that go on them. i only see the picture of the finished map. Am I missing something?